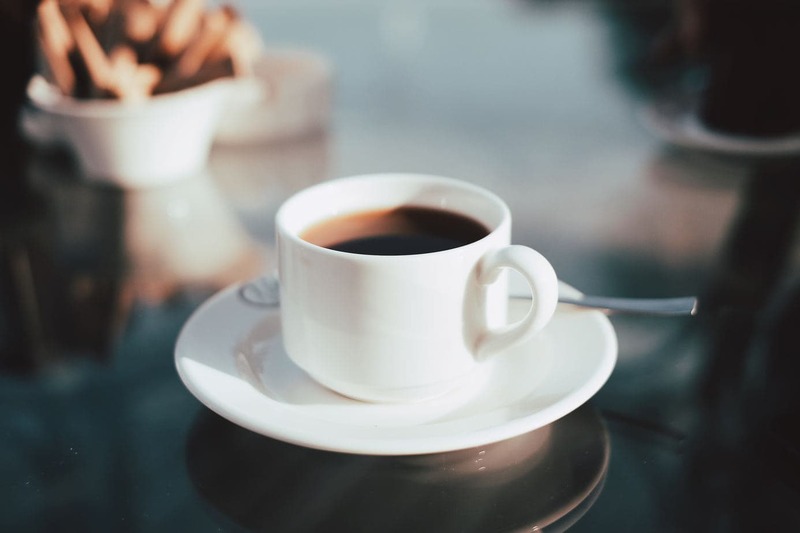 Previously, if you wanted a full coffee house experience at home, you would have to invest in a number of appliances to achieve the necessary variety of brewing. However, with Ninja coffee makers, that is no longer the case. You can get an array of brewing capabilities in a relatively small package. But does that wider capability mean that Ninja is simply a jack of all trades and a master of none. That’s what we’re here to find out. 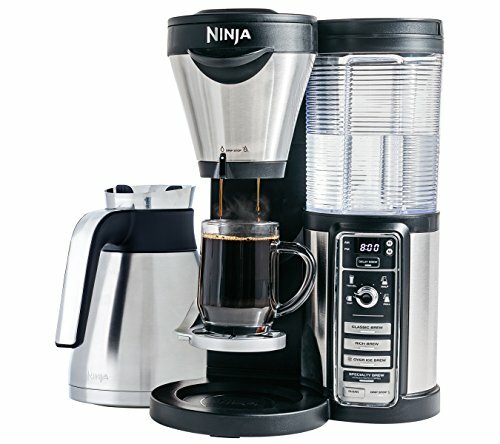 Read on for reviews of Ninja’s top coffee makers and a guide on if or how to choose one for your home. Formerly known as Euro-Pro Operating LLC, SharkNinja Operating LLC produces a variety of household appliances from vacuums to (you guessed it) coffee makers. It is a United States based company that was founded in 1996. They officially changed their name from Euro-Pro to SharkNinja in 2017. One word: Versatility. 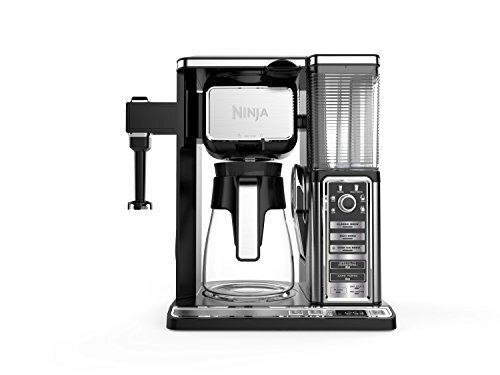 Whether it’s a convenience or space concern, Ninja coffee makers are going to give you the versatility of a full blown coffee bar without having 4 different machines on your countertop. Classic: This is your typical cup of Joe option- the trusty go-to brew. Rich: With a strength in between classic and espresso options, this will give you a beverage that plays well with dairy without overpowering or being overpowered. Iced: The option that honestly opens a whole new world of coffee brewing- this allows you to make hot coffee over ice for a wonderfully refreshing caffeine fix. Specialty: This is essentially the espresso option. It’s technically a coffee concentrate, and it works best for making drinks that are typically espresso based (like a cappuccino or latte). Cafe forte: This option is specifically designed to help emphasize the unique characteristics of whatever grounds you’re using. It gives you a nice, full-bodied drink that should be good enough to drink black. Aside from these options, all Ninja bars have the Auto IQ One Touch Intelligence feature. That just means it measures the water and pulls the coffee for you after you select the cup size you want, which eliminates a good bit of guess work on your part. Speaking of cup size, Ninja has a single cup option, which effectively competes with other pod brewing systems. This is especially important because you can pick your own grounds– revolutionary. While Ninja Coffee has a respectably large array of products, we have selected and reviewed the three that we think will give you the best idea of that range and the best products across it. We have also included a couple recommendations for variants in case one of these models isn’t exactly what you’re looking for. If you’re only fueling a coffee home of one, this entry level, single serve machine might be best for you. 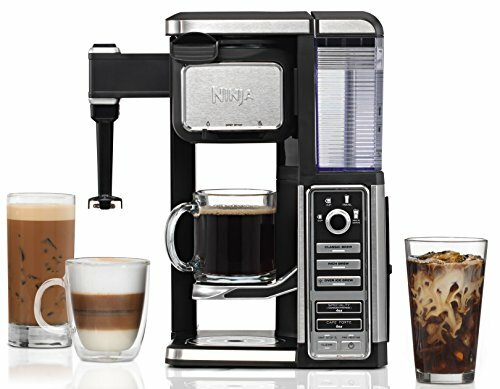 It has the full range of brewing capabilities from classic to forte, built specifically for serving 1-2 drinks at a time. It comes with a tumbler and a built-in milk frother, and it’s compatible with both a permanent filter and disposable paper ones. The CF112 also comes with a 1-year limited warranty. On the flip side, measuring 12.2 x 11 x 16.3 inches, this machine is a bit on the large side for the limited capacity. There have also been a few complaints about the cleaning light staying on even after descaling. The CF085Z is capable of making single-cup, travel-cup, half carafe, and full carafe brews. Making it more capacity versatile than the CF112. The 43oz carafe is included with the machine. In this case, it’s a stainless double wall thermally insulated carafe. The carafe is what differentiates this model from the slightly cheaper CF080Z If you click this link and make a purchase, we earn a commission at no additional cost to you. , which has a glass carafe and warming plate. That difference simply makes for a better tasting brew, especially if you are drinking it slowly over two hours, rather than immediately after brewing. One of the biggest selling points on this Ninja is that it has a pre-infusion-esque feature, where gounds are wet before the brew cycle. This improves the flavor quality overall. The main drawbacks of this machine are that the frothing wand is not built in and that it cannot brew XL cup or XL multi-serve sizes. This is the largest machine on the list measuring 15 x 11.3 x 16.3 inches, though it is similar in build to the CF112. However, with the bigger footprint comes more signature versatility. The CF097 can brew any cup size from single serve to a full carafe and everything in between. You can also enjoy any of the 5 brewing methods, so you should be able to brew a cup that meets your needs any day of the week. The water reservoir holds enough water to fill a full carafe in one go (50 oz), and as an upgrade from the CF085Z, it’s also removable. It takes up more space than the other options. If you want it to shut off completely, you’ll have to do it manually. As always, your machine needs to be able to cater to your coffee drinking needs. If you need a machine that can fluidly transition from a single serve to a full carafe, then make sure you get CF085Z or CF097. The CF097 is just going to give you a few more options. On the other hand, if you are never going to need a full carafe at once, save a bit of money and go for the CF112. While the CF112 and CF097 both have the built-in hot and cold milk frother, the CF085Z simply has the Ninja easy frother. That means if you are a dairy fanatic looking for convenience at its finest, you should probably opt for the 112 or 097. Whereas if you already have a separate milk frother or you simply aren’t a dairy fan, you probably won’t mind the 085Z. Ninja machines do inherently save some space by cutting down on the number of appliances you need. However, you still have to take size into consideration. If counter space is at a premium, getting the CF097 isn’t going to be particularly practical for you. So make sure to double check and measure your space before you buy. These machines do require that you purchase and potentially grind your own beans. This can affect the flavor more than any component of the coffer maker. So, keep that in mind as if you try one of these products. If you aren’t really much of a purist or you don’t feel like making the effort to do this part yourself, you may want to opt for a pod coffee maker or a super-automatic espresso machine. If you are looking for a machine that does it all and then some and you have a more accommodating budget, go for the CF097 or CF091. For households with only one or two casual coffee drinkers, the more affordable CF112 would be a great choice. And people who are looking for something in between those two options should get the CF085Z or CF080. If you are on the market for a brewing method that can give you a crisp, low-acid, energizing cup of coffee, cold brew might strike your fancy. So here's a list of the best cold brew coffee makers just for you. Let’s take a look at 10 reasons why coffee tastes bad and what you can do to fix it so you never have that awful lizard licking look ever again.